Looking for a new home in Utah? My Utah Homes for sale is the best resource for up to date MLS listings for custom homes, residential properties, ranch properties, townhomes, or other properties for the entire state. Exploring your options is made possible with the extensive real estate search options, and it also provides the latest real estate market updates. People tend to relocate to Utah because of the vast scenic areas, healthy lifestyles, growing business opportunities, and because there are so many places which are great to work in. The Beehive State also offers amazing communities near wonderful recreational areas. Housing in Utah has a variety of sizes and styles to meet the requirements of even the most discriminate buyers. Tourism is continually strong and in the economy’s down-turn many people have been staying closer to home when vacationing, which is reflected in the thriving tourist businesses throughout the state. There are still many good paying jobs and a demand for long term employees in Utah. 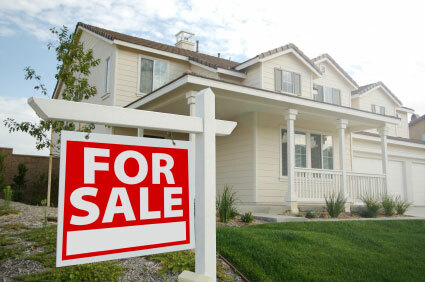 Property values are increasing, making the real estate in Utah an intelligent investment. The economy here is one of the best in the nation providing a good economic base. The base price for homes has stabilized over the past year evening out the buyer’s market versus the seller’s market, but in reality the market has had more stability than in other places in the country. The inventory has taken a slight decrease from the previous year providing proof of the recovery in the housing market, although the short sale home inventory has taken an increase. Homes range from $64 per square foot to $110 depending on the age of the home providing housing for every price range and allowing room for buyers to look into different types of homes. If you plan to purchase a home and live in it for at least a few years, now is a good time to buy rather than trying to flip it for a quick profit. Investing is still an option, but be prepared to hold on to your newly acquired property for an amount of time that will make certain equity is built. Getting a mortgage is more difficult now than it was a few years ago so ensure your credit record is in good standing. You will more than likely also have to provide a down payment when getting your mortgage loan. Mortgage rates, however, are still low and there are many options to help first time home buyers get the mortgage they need. For the most up to date housing options in Utah, always seek advice from myutahhomesforsale.com first, where all of your questions are sure to be answered. With their guidance buying your new home can become an easier, less stressful, more pleasurable experience just as it should be. Specializing in helping buyers and sellers.